Black Student Union's poster in Smith Hall's elevator about their delivery service. 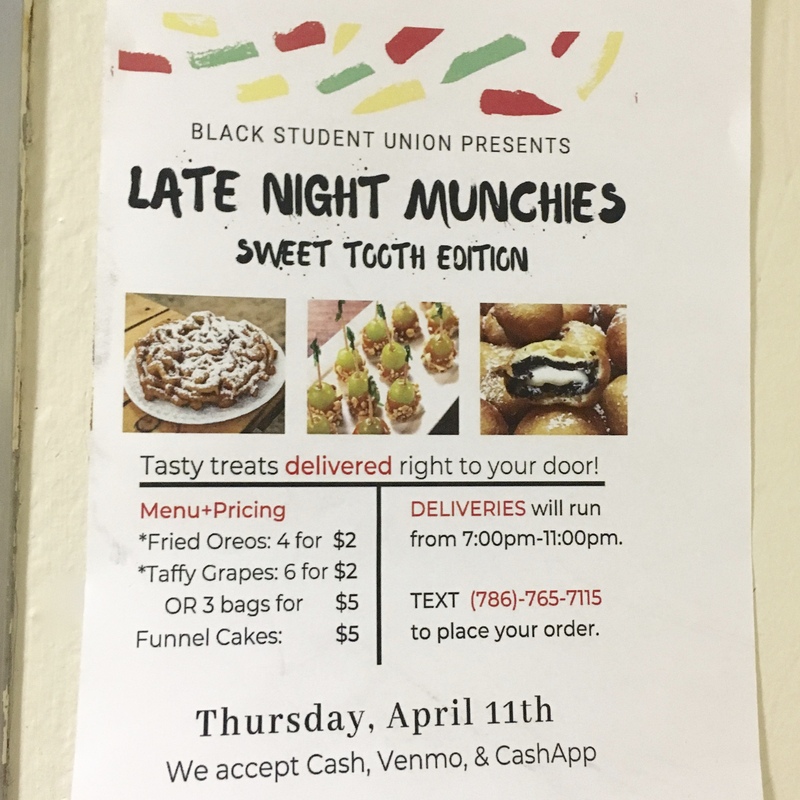 Black Student Union displayed this poster in Smith Hall promoting their late night delivery service that will be held on April 11th from 7:00 PM to 11:00 PM. 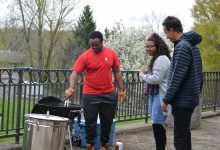 There will be fried oreos, taffy grapes, and funnel cakes ranging from $2-$5! Order these tasty treats while you can!